What cannot be missed when you visit Saint Brittany is the "Britain speciality galette". 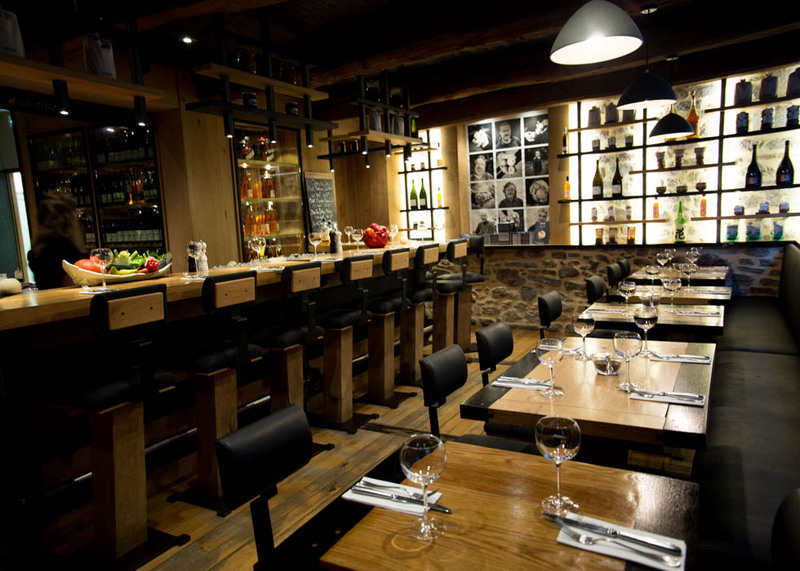 One of the best places to eat galette is BREIZH CAFE, located in the heart of Saint Malo and serves the best and authentic galette in town. 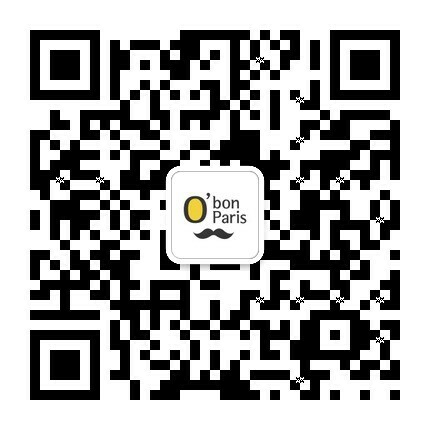 BREIZH CAFE owns many branches including in Paris, Brittany, and in Japan. 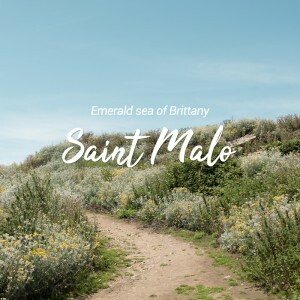 Originally, it all has started in Kagurazaka, Tokyo, Japan by Bertrand Larcher and his wife who has been inspired by Shotengai in Japan and named the restaurant after Brittany as "LE BRETAGNE". The restaurant has a perfect combination between Britain and Japanese food culture and has always attracted a crowd of people to visit the restaurant. The best galette is the one that is properly cooked with the impression of the soft and slightly chewy inside while the surface is still crunchy. 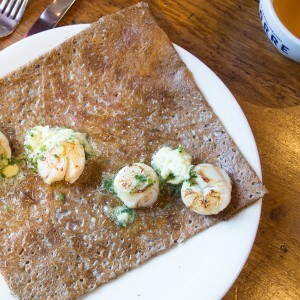 With the high quality of buckwheat, balanced material, and the perfect timing of all delicate process, together they make the best galette out and serve just right in front of you. 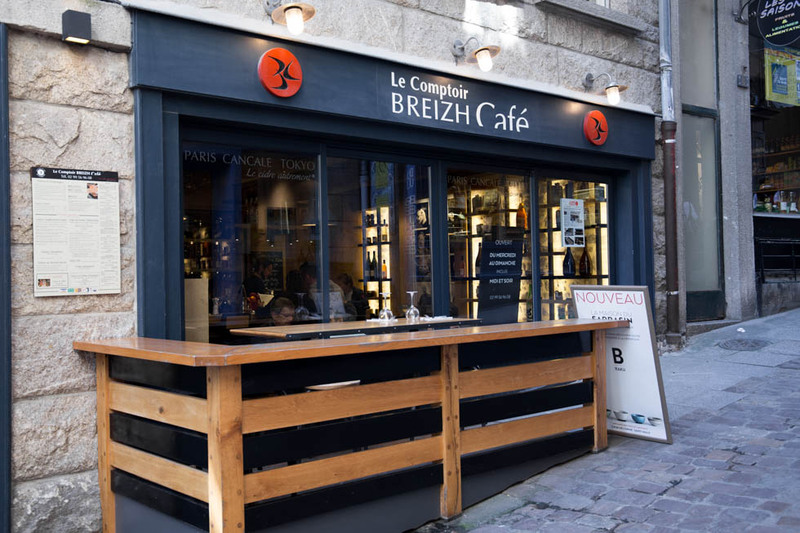 BREIZH CAFE has quickly gained the reputation and became popular among the areas. Each restaurant has provided its own unique style using local agricultural products to create a unique menu based on the seasons. The different menu is being served in a different restaurant of BREIZH CAFE. For instance, this is the maki-style wrap with Prosciutto and fresh tomato, creating a new style of eating galette. It always goes well with Brittany special cider. 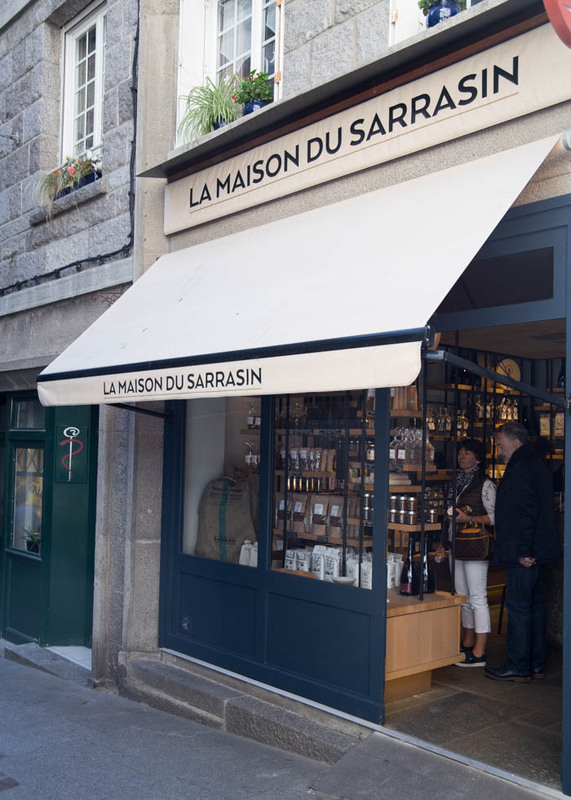 On the same street where the LE COMPTOIR BREIZH CAFÉ locates, you can find this local shop just nearby. 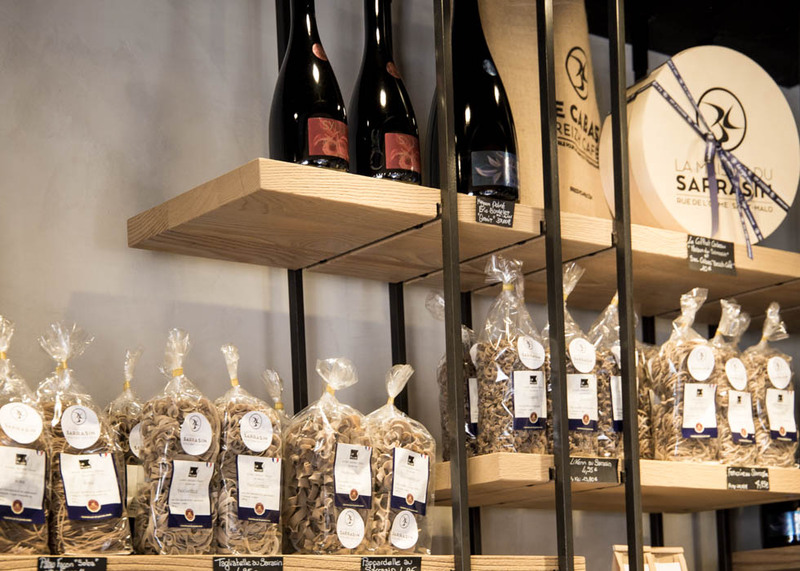 They offer their original products, homemade products, and some selection of Brittany products. 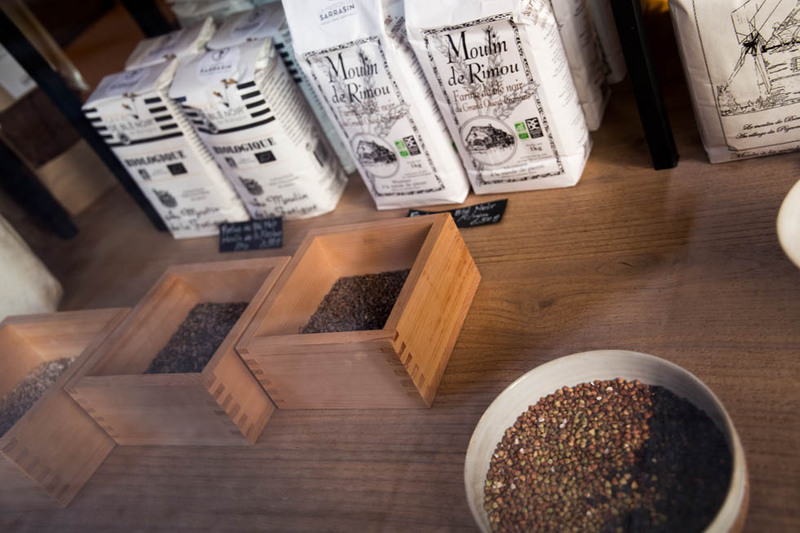 Here in LA MAISON DU SARRASIN, various kinds of buckwheat products standing on the shelves waiting for someone to pick them up. For instance, buckwheat pasta and buckwheat honey. Both are a unique specialty stuff to buy from this shop. Buckwheat pasta is an exclusive kind of pasta that does not contain gluten, in case you are interested you can buy one back home and see the difference from the pasta you have had. On the other hand, buckwheat honey will have a slightly bitter taste than a normal honey, therefore, recommended to use for cooking. The keyword for BREIZH CAFE is "buckwheat". It is savory like Hazelnut with a slightly bitter taste, however, buckwheat contains much nutrition while giving a low calorie. 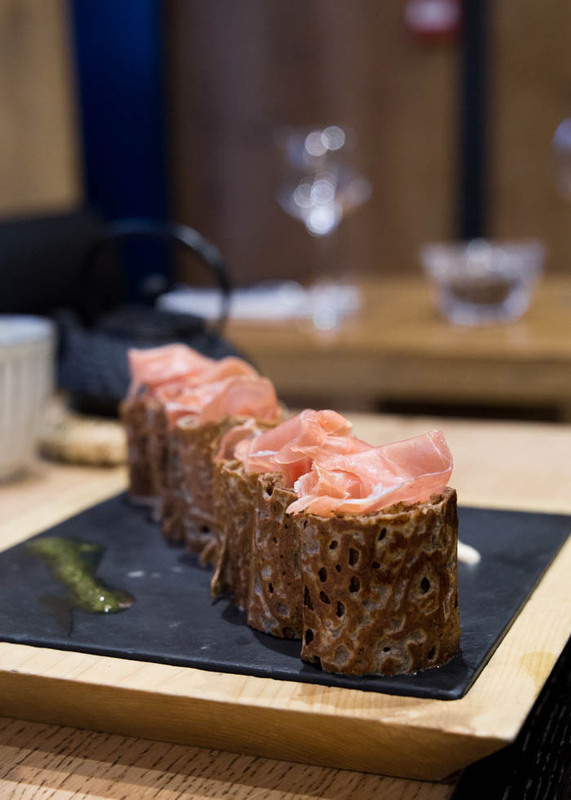 Buckwheat became a principle for Brittany food and BREIZH CAFE has selected the best out of it and obtain an honored Michelin stars. 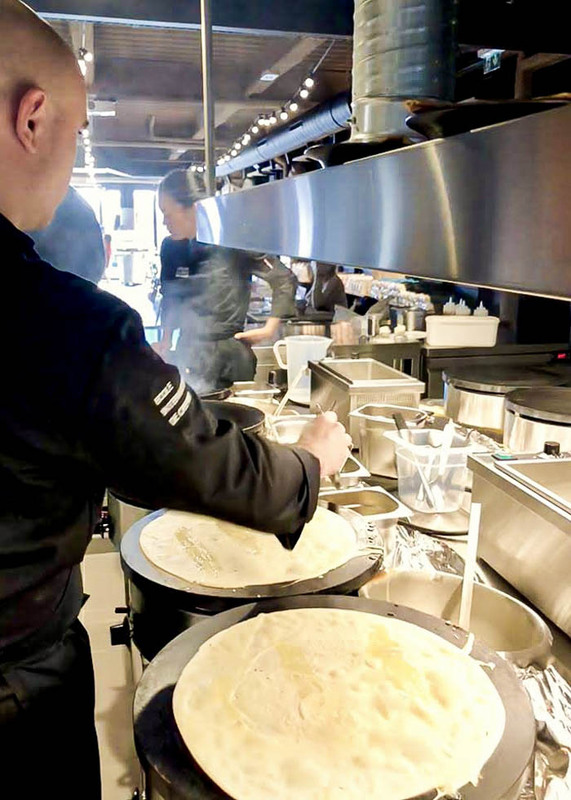 After all the reputation of BREIZH CAFE, they have embarked the professional creperie training school in Saint Malo, "Atelier de la Crêpe" since 2011. It has just reopened in October 2018 in a 600-square meter building. The ground floor is housed a fully-equipped teaching kitchen, an 80 seats restaurant, and a grocery shop opened for general public everyday. 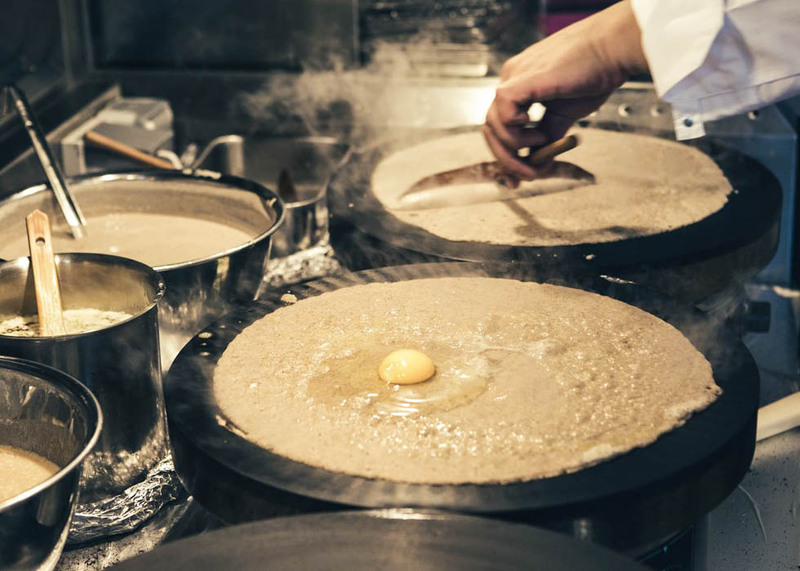 On the weekdays, the students learn professional crepe-making skills and provide an essential tools for the next generation to be able to work abroad. More than a school, Larcher's passion is to continue promoting Breton culture. You can also join 3 hours workshops for the general public opening for everyone on weekends. From the grocery shop on the ground floor, you can find good products such as ingredients for making crepes, and seasonings like salt or jam, and cooking utensiles and pans, etc. Even Brittany is located in France, Brittany is often being considered to have a different culture by local people. In Brittany they has their own unique culture, food, dialect, scenary, etc. 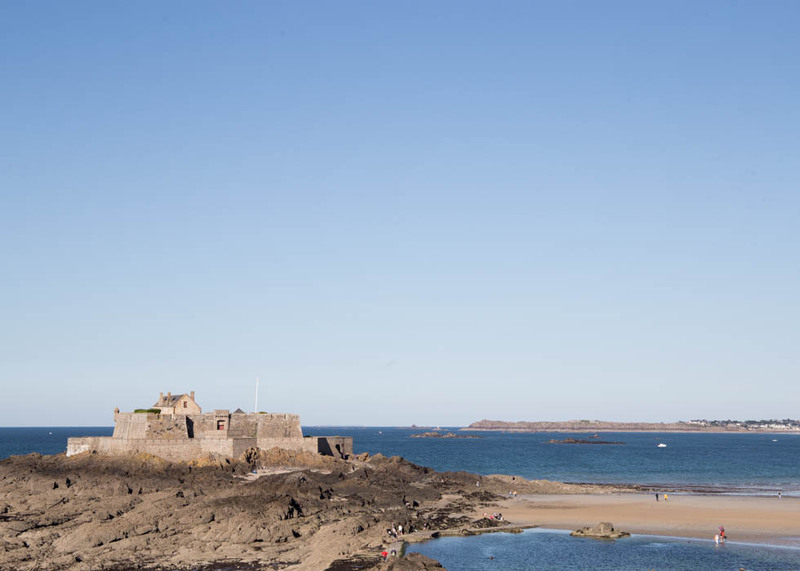 This could be very different from any other area in France, so do not missed the authentic food from Brittany!